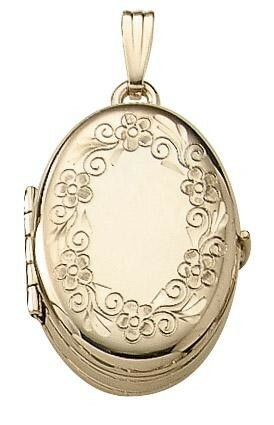 This is truly an elegant locket. It is medium sized at approx. 5/8 " across and about 3/4" long. 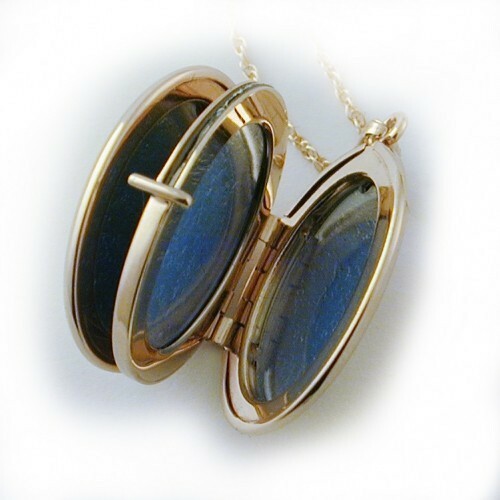 Its compact shape easily holds 4 pictures as shown. 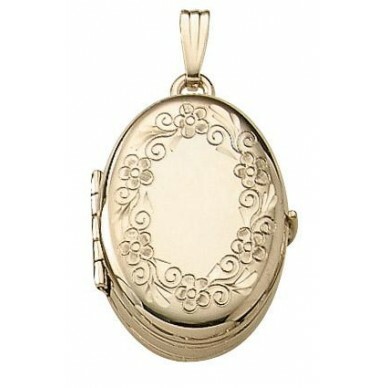 This locket looks great with a single script initial on the front or a monogram on the back. (It's too narrow on the front for a full size monogram) Includes a 20" 14K gold chain. Made in the USA by skilled craftsmen. Lifetime warranty.